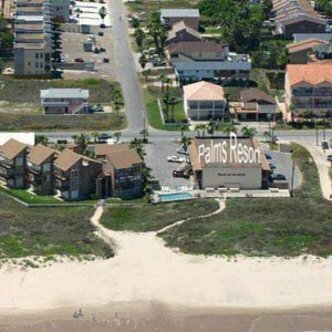 The Palms Resort offers all mini-suite accomodations on the beach on South Padre Island. Enjoy your stay in our beach-themed Queen Suites, or in our newly renovated King Suites. We are centrally located on South Padre Island, with direct beach access. The Island shuttle system will take you to attractions on the Island and in nearby Port Isabel. We have a new full service restaurant and bar with spectacular views of the beach and the Gulf of Mexico. Our heated pool is perfect for relaxing with a tropical drink while enjoying the picturesque beach and Gulf views.